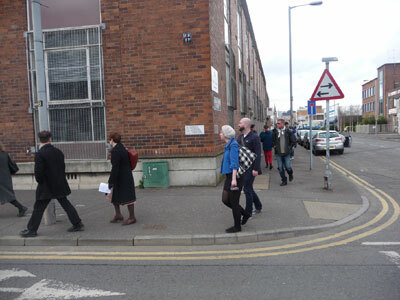 The DIY landmark tour was an alternative micro tour of a small area of Corporation St in North Belfast. 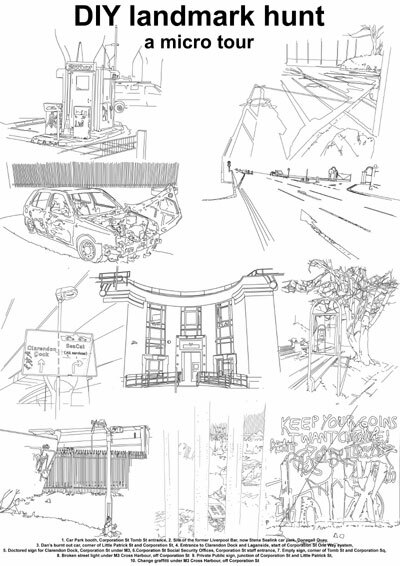 The landmarks in question are seemingly unorthodox and frequently temporary. However they reflect some of the detail of this peripheral location which straddles Belfast city centre and the industrial dock area. 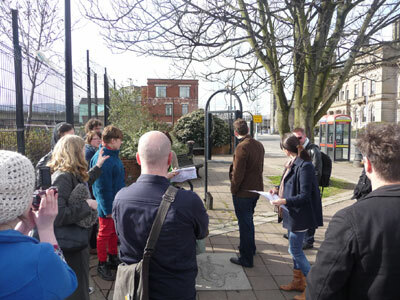 The tour can be taken without a guide, participants use the drawings on free leaflets provided to locate the landmarks and see if they are still there. 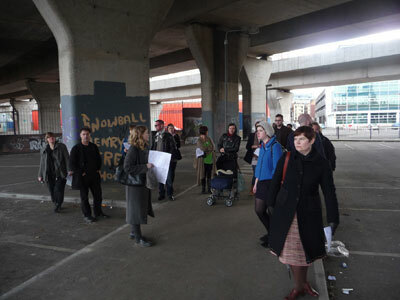 The tour looks at the ways in which citizens come to know and shape their cities, the places where they live and work. This project is part of ‘Some Actions Around The Centrifugal Book of Europe. The Centrifugal Book of Europe is a 'map' of the social, cultural and political space of contemporary Europe, and of the phantasmic Europes that may yet be called into being. The members of Centrifugal are artists, educators, architects and theorists who have come together to investigate the spatial, political and economic forces producing contemporary ideas of Europe.